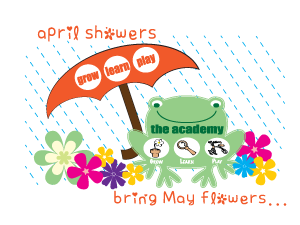 The Academy Child Development Centers and Preschools are privately owned and operated by our parent company, Never Grow Up, Inc., based in Franklin, Tennessee. We currently operate 11 preschools in Middle Tennessee. We ensure our Academy teachers are of the highest quality. All Academy teachers are degreed and/or experienced in early childhood development. Teachers are all CPR and First Aid Certified, certified in Baby Sign Language, and trained in SIDS Prevention. Continued education and training is an essential part of our commitment to offering the highest quality of care and the finest preschool education. The Academy is not just a place for children! You will find that The Academy is a community of families. With activities and programs designed to enhance family togetherness, The Academy offers tons of unique opportunities for families to come together. We take pride in recognizing and supporting the wonderful role of family in a child’s development. 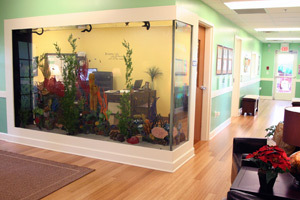 At the Academy, you will find state-of-the art learning environments for your children. Our spacious classrooms are designed specifically to optimize a child’s learning experience. From our specialized Enrichment Rooms complete with computers, stage and daily continental breakfast bar, to our fun and exciting playgrounds, children are able to enjoy their time with us in an exciting and safe space. About Never Grow Up, Inc.
Never Grow Up, Inc. is part of a group of companies that operates nearly 30 child development centers in Tennessee, Kentucky, and Indiana. Never Grow Up, Inc. is committed to providing private child care for parents who want only the best for their children.